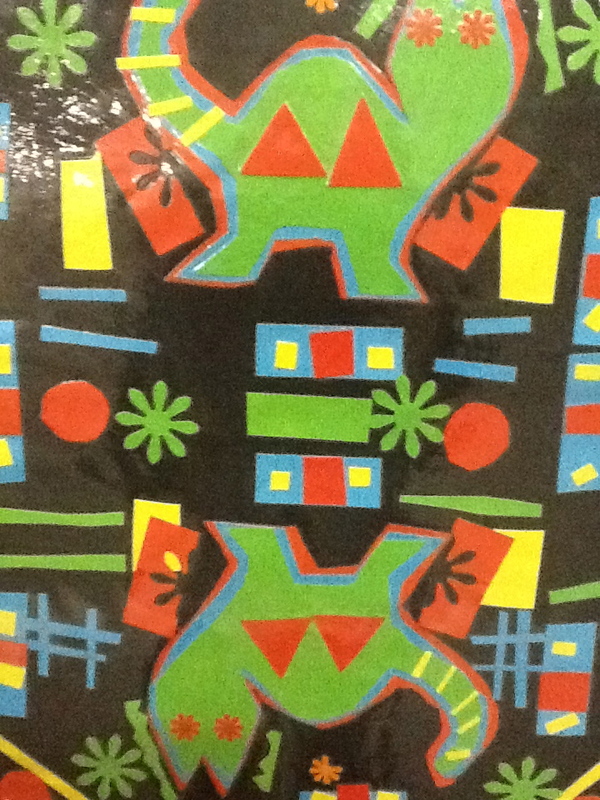 Molas form part of the traditional costume of a Kuna woman of the San Blas Islands. 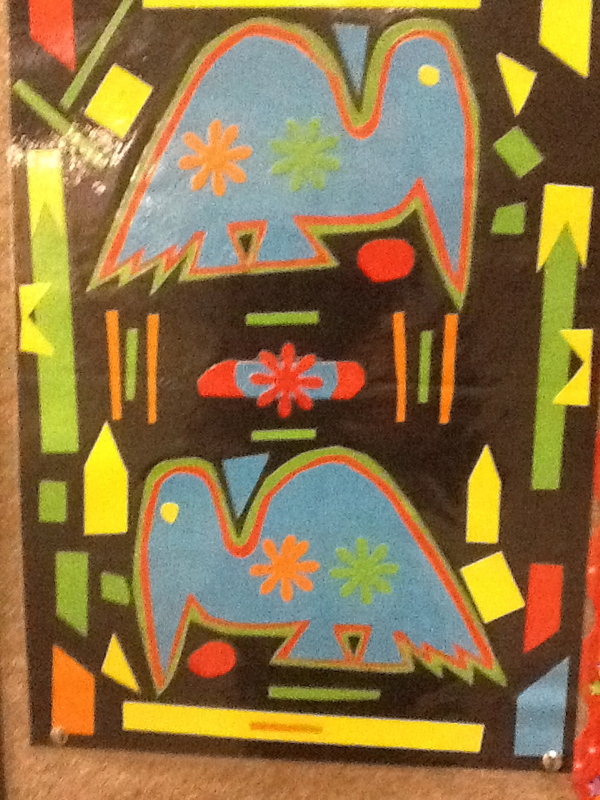 Molas are an intricate reverse applique style, usually depicting animals, birds or fish. 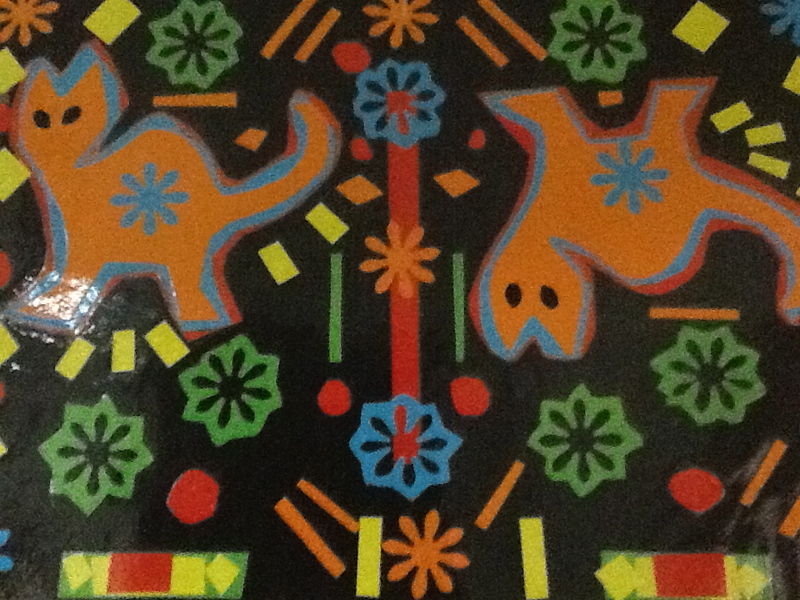 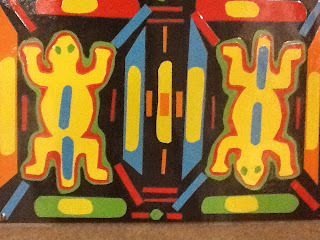 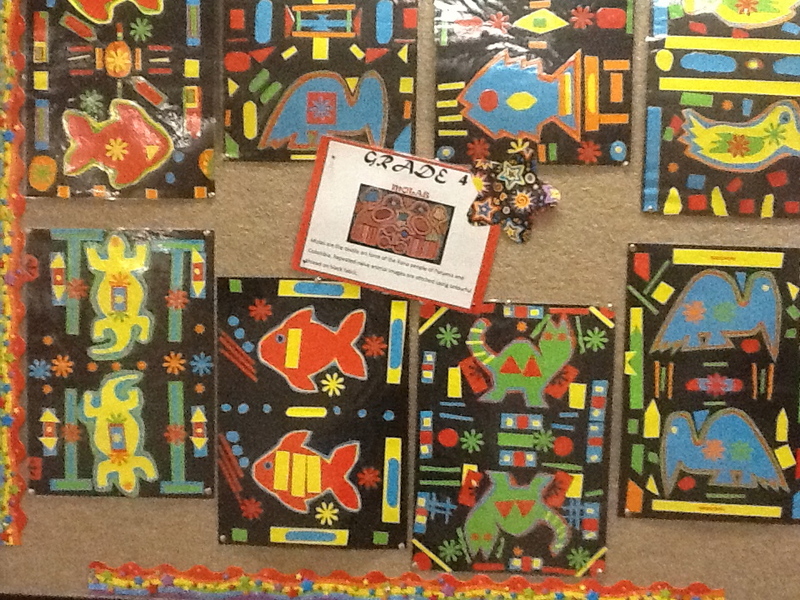 We created our own Molas using a variety of coloured paper on a black paper backgound. 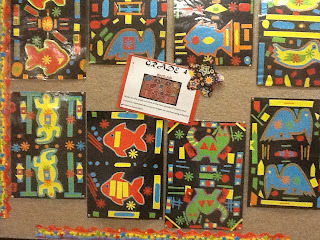 These turned out vibrantly and the Grade 4'S had loads of fun doing them.